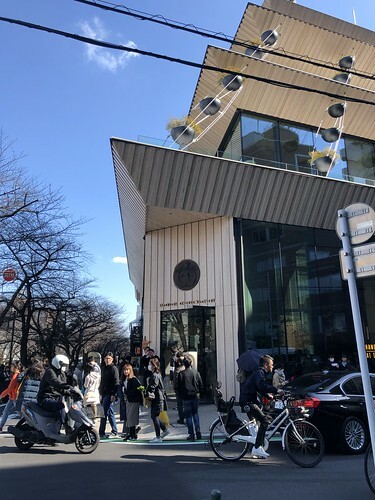 Before going in, you will need to get a queue ticket, and usually this queue is about 1.5 hours to 2 hours, so you can head somewhere to chill out before going in! 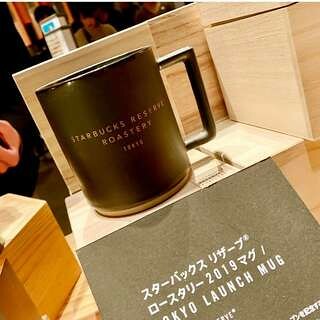 The Starbucks Reserve Roastery Tokyo is the biggest Reserve Roastery now, while Shanghai’s outlet became the 2nd largest. The interior is very pretty, and there are a total of 4 levels. I’m sorry that I didn’t take much photos of the interior. At Level 3, before heading to for the Coffee-infused cocktails. A “Tokyo” sign made from the coffee labels! Something that is insta-worthy! 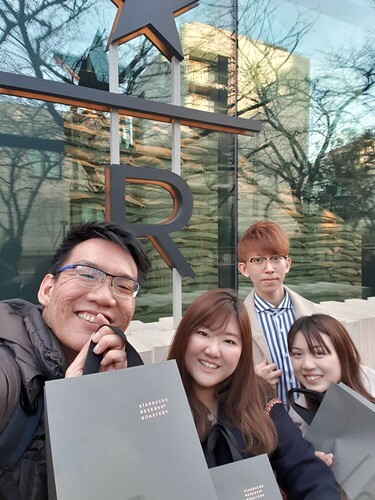 Me and my friends decided to get the coffee/tea-infused cocktails, and they were quite exorbitant. Since it was our first time, we decided to splurge it. We ordered 2 glasses of ‘Sparkling Sakura Allure’ which has a floral taste with whisky mixed into it, a glass of ‘New Tokyo Fashion’ which has a whisky base and umeshu mixed, topping it off with a leaf of sakura, and lastly, a glass of “Whiskey barrel-aged coffee”. 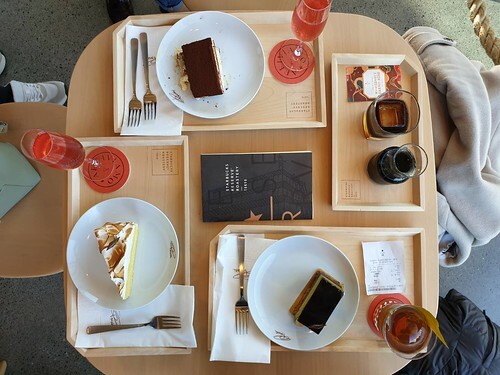 We also ordered cakes such as Cheesecake, Pistachio cake, Lemon Meringue cake and lastly, the Tiramisu, which was the best among the 4! There were also savory bites such as focaccia, but it was filling for us, hence we had cakes instead! 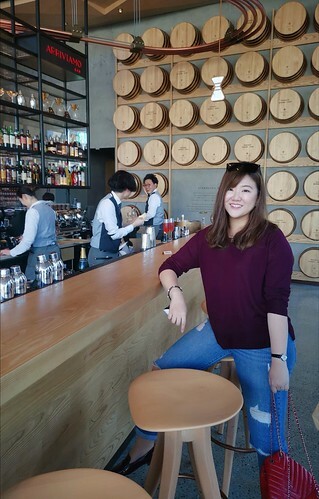 This is how the bar counter looks like, and it’s a legit bar counter! 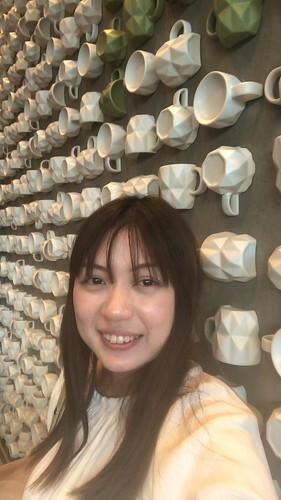 And that’s me, taking a selfie at the wall filled with cups, which is also another insta-worthy background! 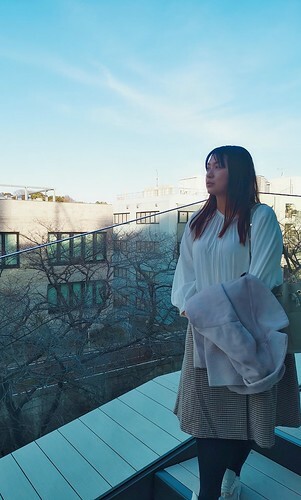 If possible, I would recommend you all to take a seat outside, especially during the cherry blossom season because the view outside is simply way too beautiful. After that, we headed off to Level 1, where you can get their merchandise! The merchandise are very pretty, and I got myself their launch mug! They also have other merchandises such as tote bag (￥3,000), t-shirts, tumblers, pens, notebooks and etc. I didn’t get them because I feel that there was no need for me to buy them. Now is the cherry blossom season, they are also selling cherry blossom (sakura) merchandise too!